BACK TO SCHOOL: Students of the EMSB primary and secondary institutions will return to class on Monday, August 31, 2015. Kindergarten children must be five years of age on or before September 30, 2015 while Grade 1 (Cycle 1) students must be six years old on or before the same date. Parents are asked to call the school in their neighbourhood to make an appointment. Parents are urged to consult the Board’s website at www.emsb.qc.ca, which also contains information about the successful adult education and vocational training programs. E-mail inquiries can be sent to informationdesk@emsb.qc.ca or you can call 514- 483-7200. The EMSB serves more than 36,000 students at 35 elementary schools, 17 secondary schools, eight alternative outreach high schools, seven social affairs institutions and 10 adult and vocational centres. Principals like Donna Manos at Honoré-Mercier are set to welcome students back. BREAKFAST TV AT ROYAL VALE: City’s Breakfast TV will report live from Royal Vale School in NDG on Monday morning, August 31 between 6 a.m. and 9 a.m. Principal Nathalie Lacroix reports that a lot of exciting developments will occur at the K to 11 school. More than $700, 000 in renovations to the building have been done in recent months, from new windows to a freshly painted auditorium. A new playground structure and climbing wall will soon be ready. An elite hockey program for elementary and high school students is about to start, with Royal Vale grad and NHL star defenceman Marco Scandella of the Minnesota Wild as a special ambassador. A competitive fencing club will be introduced. Academically, on the eve of open house season, the high school will launch sports, music and drama concentration programs for 2016-2017 and for students who do not wish to enroll in French immersion (70 percent of subjects taught in French), a 30 percent option called Français Flex will debut. “All of these new programs are a wonderful addition to our school, which already offers high quality education and obtains outstanding results,”says Ms. Lacroix. Breakfast Television is live streamed at www.btmontreal.ca. It can be seen on channels 14 (Videotron), 207 (Bell Satellite), 204 and 1204 (Bell Fibe). KINDERgarten: Last January the EMSB announced the new KINDERgarten program, aimed at combatting bullying and acts of aggression while fostering compassion and acts of kindness. We are no pleased to report that the EMSB has received a professional development grant for the 2015-16 school year, to develop a repertoire of selected activities for kindergarten teachers to use from day one of the academic year to sensitize children to acts of kindness, promote good values, build empathy and compassion, and to stand up for others when witnessing acts of aggression. Evidence-based practices of Social and Emotional Learning (SEL) will be used as the basis. The repertoire will be made up of existing resources and best practices, compiled by K teachers. Teachers will be offered concrete ideas and activities for developing social and emotional learning in their students, to help students master the skills of building empathy, making responsible decisions and developing healthy and positive relationships. Research has shown that development of such skills lead to better academic performance and success in school and in life (Carthy Foundation; 2013). Teaching children about social values and kindness can improve classroom environments and student behavior, and reduce stress for the teachers. Practicing kindness in the classroom can transform entire school cultures as well. A scene from last year's KINDERgarten launch. The KINDergarten development team consists of kindergarten teachers Jackie Dare (Parkdale), Carole Bergamin (Our Lady of Pompeii), Sharon Friedmann (Elizabeth Ballantyne), Nancy Omobono (Honoré Mercier), Melanie Dignard (Westmount Park), Maria Bonadonna (Michelangelo) and Imma Ieraci (Michellangelo). The consulants are Anne-Marie De Silva from Pedagogical Services (Ethics) and Daphna Leibovici (Violence Prevention). BRIEF ON SCHOOL BOARD GOVERNANCE: An ad hoc committee of the Council of Commissioners has submitted a brief to the panel chaired by former Federal Liberal MP Marlene Jennings on the future governance of school boards in Quebec. This comes at a time when the Education Minister is planning on bringing forward legislation that would change the process of governance at public school boards. The brief calls for the maintenance of the status quo in terms of general elections for a chairman and commissioners and makes a number of strong recommendations to improve voter turnout. EMSB CALENDARS: Please note that there was a production error in the EMSB wall calendars and the months of July and August are printed incorrectly. Special stickers are being produced to correct the problem and they will be sent to schools and centres. A copy is on the website. YOUTH CALENDAR: Here is a link to the 2015-2016 youth calendar. EMSB EXPRESS: The fall edition of the EMSB Express is online here. Copies will be sent home with students and made available to others via a variety of means. In this edition there is a special four page section on Volunteer Appreciation Evening, special coverage on our energy efficiency project, a listing of high school open houses and other important news. Catholic School Board (MCSC), she was directly involved with programs meant to reduce absenteeism and increase student success rates in all high schools, including St. Raphael, St Pius X and Paul VI schools. 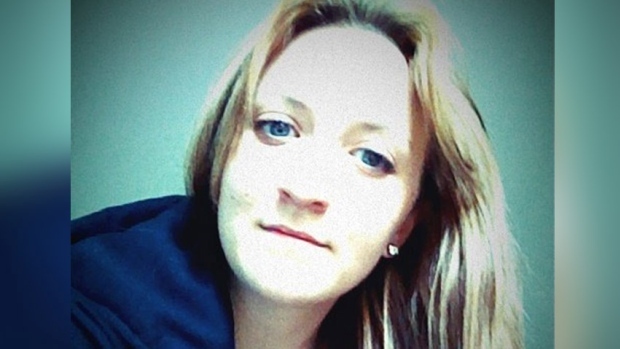 For three years, from 2011 to 2014, Ms. Matheson was an EMSB commissioner for Ahuntsic. Additionally, Ms. Matheson served as the International Baccalaureate Program Coordinator at Marymount Academy International in its founding years and was on loan-of-service to the Ministry of Education and had responsibility for the École Montréalaise Program in English schools – 19 of which were in the EMSB. Most recently, Ms. Matheson has worked for the Lester B. Pearson School Board as a principal at LaSalle Community Comprehensive High School. She was also an in-school administrator at St. Lawrence Academy Junior, Beurling Academy and ECS (Miss Edgar’s and Miss Cramp’s School for Girls). Ms. Matherson is the parent of two children who have attended EMSB schools. As well she served on the Region 3 Parents Committee and Central Parents Committee in 2005. Hampstead Elementary School; Marisa Mineiro (previously vice-principal at Honoré-Mercier Elemenary School), Michelangelo International School in RDP; Darlene Kehyayan (previously at Dunrae Gardens), Nesbitt; Silvana Crigna (previously at Shadd Health and Business Centre), Sinclair Laird Elementary School in Park Extension; Joe Cacchione (previously vice-principal at Galileo Adult Education Centre), Lester B. Pearson High School in Montreal North; Marco Gagliardi (previously principal at Sinclair Laird), Rosemount High School; Roma Medwid (previously Deputy Director General), Shadd Health and Business Centre; Antoinette Scrocca (previously vice-principal at Leonardo Da Vinci Academy in RDP), interim at Carlyle Elementary School in TMR (Anna-Maria Borsellino is now interim assistant director of Pedagogical Services). New vice-principals will be: Christina Voggas, Honoré-Mercier Elementary School in St. Léonard; Assunta Caruso, Leonardo Da Vinci Academy in RDP; Vito Campbell-Guerrerio, confirmed at Willingdon Elementary School in NDG; Nadine Pomilio, James Lyng High School in St. Henri; Hilda Hacikyaner, John Grant/L.I.N.K.S; Angelo Gallo and Mauro Zampini, Lester B. Pearson High School in Montreal North; Patrizia Tummillo, Marymount Academy International in NDG; Andrew Mangal, Rosemount High School; Steve Manstavich, Royal West Academy in Montreal West; George Koutsoulis, Vincent Massey Collegiate in Rosemount; Brenda Bourdeau (interim) Westmount High School and Jennifer LeHuquet; Denise Maroun, Mackay Centre and Philip E. Layton School in NDG; Dina Vourdousis, Galileo Adult Education Centre in Montreal North; and JoAnne Désir, High School of Montreal in the Plateau. MACKAY CENTRE ANNOUNCEMENT: The Ministère de l'Éducation, de l'Enseignement supérieur et de la Recherche (MEESR) has authorized a sum of $21.9 million for the EMSB to build a new $23.4 million facility to house the Mackay Centre and Philip E. Layton Schools. EMSB Chairman Angela Mancini and Minister of Immigration and Diversity Kathleen Weil (representing the Minister of Education) will give more details about the project at a press conference on Monday, August 31. The Mackay Centre and Philip E. Layton Schools have effectively been tenants of the MAB-Mackay Rehabilitation Centre (MMRC), which falls under the jurisdiction of Minister of Health and Social Services. For decades, the Philip E. Layton School was located at the Montreal Association for the Blind (MAB) facility on Sherbrooke Street West in NDG, where renovations forced them to move to the Decarie Boulevard building last September. The Mackay Centre School, educates children with physical disabilities, the deaf and students with communication disorders. P.E. Layton services the blind and/or physically handicapped and /or intellectually handicapped students. 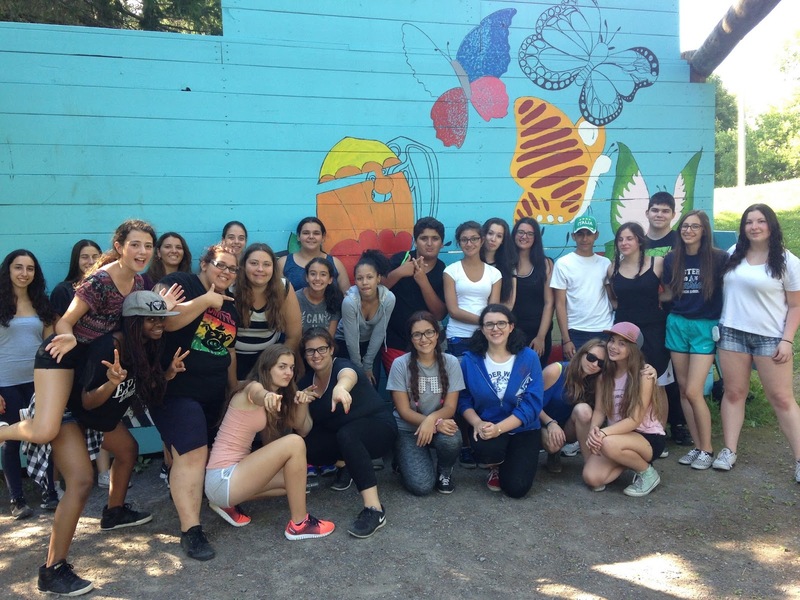 Both schools have a supra-regional mandate and consequently, the EMSB is the only school board to offer services to this particular group of English students, not only in the Montreal region, but in the province of Quebec. 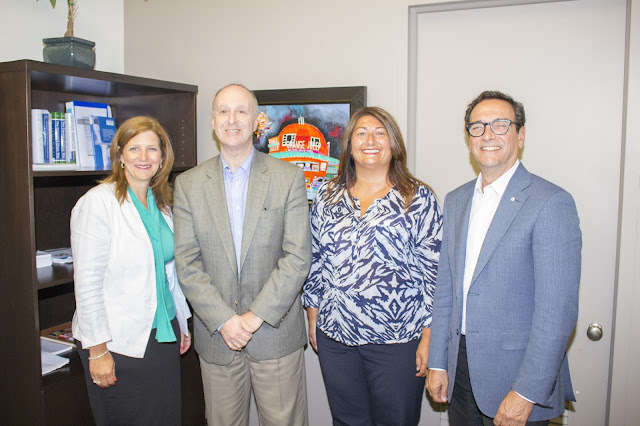 MEETING WITH DR. ROSENBERG: EMSB Chairman Angela Mancini and Vice-Chair Sylvia Lo Bianco met with Dr. Lawrence Rosenberg, president-director general of one of the new regional entities that administers public health and social services institutions on the Island of Montreal. Lawyer and community activist Eric Maldoff He heads the Centre integré universitaire de santé et de services sociaux (CIUSSS) du Centre-Ouest-de-l’Ile de Montréal. It was created by Bill 10, the major health system restructuring passed by the National Assembly last month. Dr. Lawrence Rosenberg with Angela Mancini, Sylvia Lo Bianco and Eric Maldoff. This CIUSSS runs most institutions affiliated with the Jewish community: the Jewish General Hospital the Donald Berman Maimonides Geriatric Centre, Mount Sinai Hospital, Jewish Eldercare Centre and Miriam Home and Services, the MAB-Mackay Rehabilitation Centre, as well as the Constance-Lethbridge Rehabilitation Centre, Cavendish Health and Social Services Centre, and the de la Montagne Health and Social Services Centre, all in the city’s west end. The EMSB runs its Hospital Opportunity Program (HOPS) and a school (Mortimer B. Davis) at the JGH and of course works closely with MAB Mackay. COMMERCIALS: The EMSB will once again air commercials on CTV Montreal in September and October to promote high school open houses. In addition, a campaign will also air on CJAD Radio. See this Global TV commercial recorded with students from The BASE Daycare Program at Michelangelo Elementary School in RDP. JFK KANGOO STYLE: The staff at John F. Kennedy High School in St. Michel were put through a unique workout on August 28 prior to the start of classes. Modelled after the actions of a kangaroo, a Kangoo workout is an intense cardiovascular workout that features dance moves, running and jumping. Participants wear Kangoos, which are shoes that combine ski boots and egg-shaped springs. “I decided to bring in the instructor to get our teachers moving for what we know will be an exciting and fulfilling year,” said Principal Joseph Vitantonio. “Our students face many challenges along the way, and this type of activity requires some courage and determination in order to get accustomed to the Kangoo boots. I thought it would be a fun challenge for my teachers and staff, while getting active at the same time. They will need to rely on each other to help themselves through the adjustment to walking and using the boots, and then participate in a group activities.” For more information on Kangoo Style, visit: www.kangoostyle.ca. MONTREAL ALOUETTES GAME: The EMSB will have a strong presence at the Montreal Alouettes game on September 3 at McGill’s Molson Stadium when the home team hosts the B.C. Lions. Students and staff have purchased over 700 tickets, with some of the proceeds going directly back to their Home and School Associations. ENERGY EFFICIENCY: Work has begun at Rosemount High School on the lighting in halls, stairways, and classrooms which will be converted from fluorescent to the latest LED technology. This will save energy, last longer, and simplify maintenance while maintaining or enhancing lighting levels. Last spring, the EMSB launched its second major initiative aimed at bolstering energy efficiency in school buildings. This $24.6 million project with energy efficiency experts Énergère will initially focus on 17 specific schools and centers. The LED technology phase accounts for $9 million of the budget. Savings overall are projected to amount to more than $1.17 million per year once all measures are in place. The initial investment is expected to be covered in 14 years and four months, taking into account $9.9 million in grants from Hydro-Québec, Gaz Métro, Bureau de l’efficacité et de l’innovation énergétiques (BEIÉ) and The Ministère de l'Éducation, de l'Enseignement supérieur et de la Recherche (MEESR). The 17 schools and centres are: Rosemount High School and Technology Centre and Pierre Elliott Trudeau Elementary School in Rosemount; Gerald McShane Elementary School in Montreal North; Dante Elementary School in St. Léonard; Royal West Academy in Montreal West; Leonardo Da Vinci Academy, Michelangelo International and East Hill Elementary Schools in Rivière des Prairies; St. Gabriel Elementary School in Pointe St.-Charles; John F. Kennedy High School and Adult Education Centre in St.-Michel; High School of Montreal Adult Education Centre in the Plateau; Marymount Academy International in NDG; Laurier Macdonald High School and Vocational Centre and John Paul I Junior High School in St. Léonard; St. Pius X Career Centre in Ahuntsic; Shadd Business and Health Centre in NDG; Roslyn Elementary School in Westmount. See this new website produced by Énergère. Lester B. Pearson HS students ready for action. ADMINISTRATORS WORKSHOPS: In-school and central head office administrators convened in Anjou August 19 and 20 for two days of workshops as part of an annual pre-school startup exercise in professional development. Congratulations to Luigi Di Filippo and his committee for organizing an excellent two days of workshops. Sessions focused on subjects such as social media, self/peer exploitation, the hall monitor app, performance appraisal procedures, governing boards, special needs, psychological harassment, project request forms, Office365 and science literacy. BACK FROM ISRAEL: Three teachers from the EMSB– Lev Berner from Vincent Massey Collegiate in Rosemount, Nechama Surik from the Shadd Health and Business Centre in NDG and Marie Francis from John Grant High School in Côte Saint-Luc – got the chance to participate in the annual Teaching of the Holocaust for Educators Program, an annual seminar that takes place for three weeks every summer in Israel, which is conducted by the Yad Vashem Holocaust Memorial. 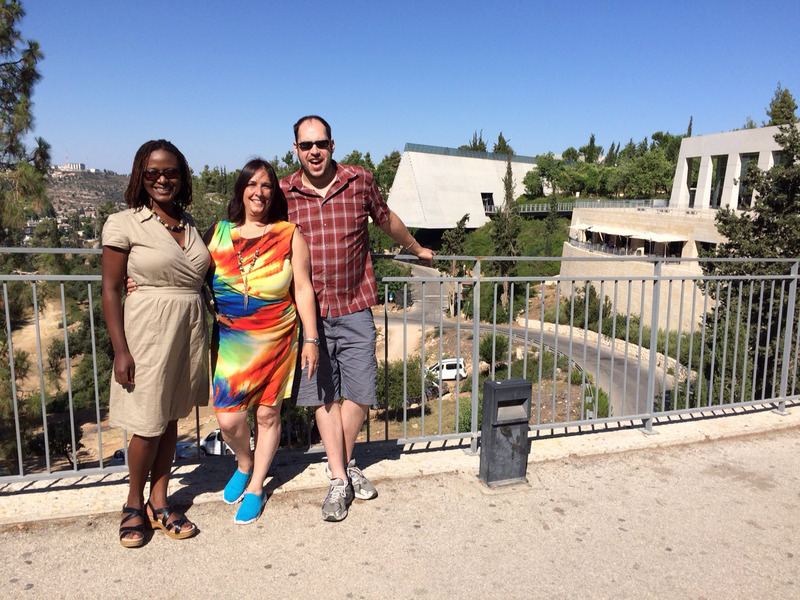 Marie Francis, Nechama Surik and Lev Berner in Israel. The program, which is made possible through the Riva and Thomas O. Hecht Scholarship Program, recently marked its 10th anniversary. Its goal is to provide professional development activities to teachers for teaching the Holocaust and anti-Semitism to students in the youth sector, and starting this year, in the adult education and vocational sector. As well, each scholarship recipient is asked to create at least one teaching unit or module developed within the context learned. The participants went through a demanding, intensive schedule of course work every day except Saturday, which included lectures delivered by experts from Yad Vashem, Hebrew University and The Jerusalem Post newspaper, discussion groups and listening to live testimonies from Holocaust survivors. There was also time to explore Israel and visit its many sites and attractions through guided bus and walking tours to such places as the Yad Vashem museum, a kibbutz in northern Israel and the Golan Heights. All three EMSB participants enthusiastically agreed that being in Israel for this year’s program was a once-in-a-lifetime experience. Ms. Francis was excited about going to Israel for the very first time, but was slightly apprehensive because of the media reports she read about the Arab-Israeli conflict and the peace process; however, that all changed after spending three weeks there. Please see the full press release. Pela Nickoletopoulos and Eleni Zervas with some of the teaching staff. 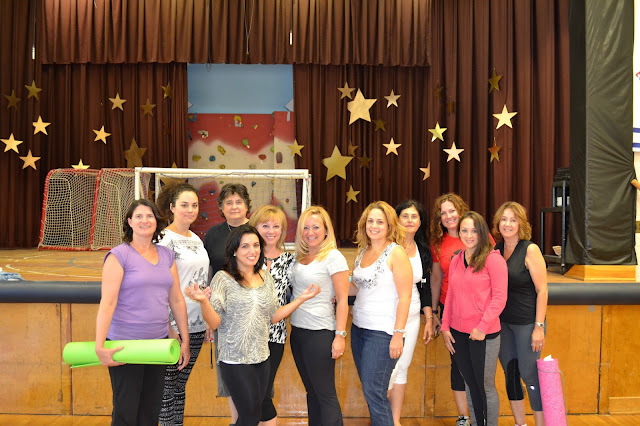 DUNRAE YOGA: Led by their new principal, Elena Zervas, the teachers at Dunrae Gardens Elementary School in Town of Mount Royal returned to work on August 25 to a morning of exercise, relaxation and bonding with a yoga class. Guided by Dunrae Gardens’ mantra of Healthy teachers, healthy students, the teachers spent their first morning of the new school year bonding with their new principal as well as new Regional Director, West Sector, Pela Nickoletopoulos through the yoga activity, which was followed by a light and healthy meal. JAMES LYNG MUSIC: Great news coming out of James Lyng High School in St. Henri. 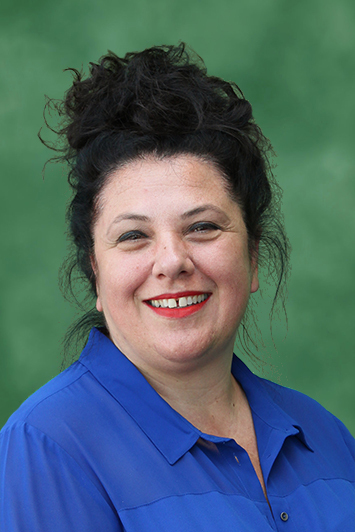 Principal Derreck Cauchi has announced the hiring of the school's first music teacher in decades. Nathan Cage will play an important role in the expansion of the school's Urban Arts Program, curriculum and "all that jazz." APP FOR RECORDS OF SPECIAL NEEDS STUDENTS: The following article by Bruce Seidel appeared on the Microsoft website. At emAPP, we design innovative solutions that organizations can use within their existing infrastructures to help solve business challenges. In recent years, we’ve used this approach to help schools manage student information more effectively, which improves school safety and streamlines daily operations. One of our products is a mobile app called KiDS (Key Information Data Systems). Special education professionals can use KiDS to easily retrieve confidential records of special-needs students. Ensuring data privacy is a key goal of the app, and built-in security protocols limit access to authorized personnel, safeguarding sensitive student information. While KiDS helps professionals spend less time on information gathering and more time helping students, it also includes a sophisticated document management system built on Microsoft SharePoint Server and Microsoft Azure that offers school districts efficient ways to store, update, and transmit student records. Our first KiDS customer was the English Montreal School Board (EMSB), which has 4,000 elementary and secondary school students with special needs. You can see the entire article here. There is also this case study. GENERATIONS FOUNDATION: The Generations Foundation, which provides hot meals for hungry kids and summer camp experiences, will hold its annual Back to School Bagelothon Breakfast on Thursday, September 17( 6:30 am to 10 a.m.) at the St. Viateur Bagel and Café ( 5629 Monkland) in NDG. The Global TV Morning News will broadcast live reports. For more information call 514.487-9051 or visit StViateurBagel.com and look for the Generations Foundation Order Form with their Monkland Avenue branch. Log on to this poster. Challenges & Creating a Positive, Strength-Based Culture Within Our School. Applestein is the author several books including The Gus Chronicles: Reflections from an Abused Kid and No Such Thing As a Bad Kid: Understanding and Responding to the Challenging Behavior of Troubled Children and Youth. 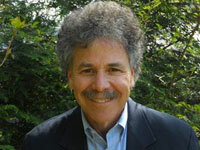 He has worked extensively in the United States with residential and foster care programs, children's and adolescent psychiatric facilities, public, private, and special education schools, parent group and detention centers. Said organizer Daphna Leibovici, the EMSB's violence prevention consultant: "In my view, the workshop has the potential to impact and create change due to the fact that the entire teaching staff from participating schools attended: St. Raphael Elementary, St. Monica Elementary and James Lyng High School. This way principles and strategies presented by the speaker have a better chance to be carried forward for further reflection, discussion and possible implementation in the schools – where it counts." Commented Gail Callendar, principal of St. Raphael School: "The presentation was relevant, inspiring and insightful. Mr. Applestein’s delivery only enhanced the message." See this story about the coding of special needs students at Parkdale. PROMOTIONAL ITEMS: Funkins (www.funkins.ca) was one of the official sponsors of EMSB Volunteer Appreciation Evening. They are a leading source and supplier of customized promotional items. Schools and centres in need of such products can email steven@funkins.ca or call 514-333-9552. EMSB RADIO GUIDE: EMSB Radio can be heard via SoundCloud, the world’s leading social sound platform. Sound Cloud can be accessed anywhere using the official iPhone and Android apps, as well as hundreds of creation and sharing apps built on the SoundCloud platform. WORLD PREMATURITY DAY: The Jewish General Hospital is one of the largest birthing centers in the province of Quebec with approximately 4500 deliveries each year. Its world-class Neonatal Intensive Care Unit (NICU) cares for about 700 premature babies and ill newborns. The JGH Auxiliary's Tiny Miracle Fund is committed to purchasing vital, life-saving equipment for the NICU. Thanks to our many committed supporters, we have raised awareness as well as over $300K with a goal of $500K. The Tiny Miracle Fund provides a wonderful teaching opportunity for students. It demonstrates the importance of charity, and allows the students to be part of an important global event. Participating schools will be eligible for a NICU nurse visit during the year, where a short presentation and video will be shown. This past year, eight schools participated and organizers look forward to increased involvement. Please consider the Tiny Miracle Fund for your special class or school wide projects for the 2015-2016 academic year. November 17 marks World Prematurity Day all over the world. This special day can be celebrated in your school, by asking your students to wear purple clothing or a purple accessory and make a $2 donation. For further information, please call the JGH Auxiliary at 514.340.8216 or email us at thetinymiraclefund@gmail.com. BIG CLEANUP: Year after year, Montrealers of all ages are invited to take part in the Big Cleanup. This program helps to beautify public or private places, parks, alleys, sports fields and schoolyards. It involves the community in an eco-responsible project. Organizers are called upon schools to mobilize massively and get children involved for a successful sixth edition of the Big Cleanup. The city can provide garbage and recycling bags, garden picks, rakes, brooms or shovels. It can also supply t-shirts for special school draws. This cool activity is an opportunity to show community leadership and teach children about garbage and recycling containers. It is great way to take care of the environment and make new friends for the new school year. See this flyer for how to join. You must register your Big Cleanup project at least 72 hours in advance to receive your material, organizer’s guide and safety instructions. Info: Julie Millette 514 872-0588 or julie.millette@ville.montreal.qc.ca. SEGAL CENTRE OFFERS: The Segal Centre for Performing Arts in Snowdon is committed to giving its audience the most engaging theatre experience possible. For families and students of all ages, they offer a number of public programs for each season free of charge, including their Sunday @ the Segal series, Monday night talkbacks, Study Guides, and behind-the scenes videos and insights on their blog. Students can attend for up to 50 percent off the price of an adult ticket. Call 514-739-7944 for more information or to reserve, or buy your tickets online at segalcentre.org. In addition, school groups are welcomed for weekday afternoon performances, including reduced ticket prices, private tours, and talkbacks. Contact Patrick Lloyd-Brennan (plbrennan@segalcentre.org) at 514-739-2301 ext. 8360 for more information. AFTER-SCHOOL AND CAMP PROGRAMMING: The Segal Centre Academy offers a wide variety of after-school musical theatre training courses. There is Broadway Stars, Grades 2 to 8, which offers training in classic and contemporary musical theatre; Young Artists for Young Audiences, (YAYA), Grades 2 to 6 (YAYA Kids) & 7- to 11 (YAYA Teens) which provides musical theatre training from the perspective of Jewish heritage and Yiddish culture; the new Glee Academy - Grades 4 to 8, which gives kids the chance to build their confidence by learning to sing, dance and perform in an environment that’s friendly, supportive and nurturing and also new, Acting Up- grades 2-6, a Sunday morning class that focuses primarily on theatre. All courses run from October 2015-June 2016. Segal Centre Camps include one for SPRING BREAK- February 29 to March 4 and SUMMER CAMP- offered in 2 sessions- July 4 to 15 and August 1 to 12, 2016. Camps are open to kids in Grades 2 to 6. 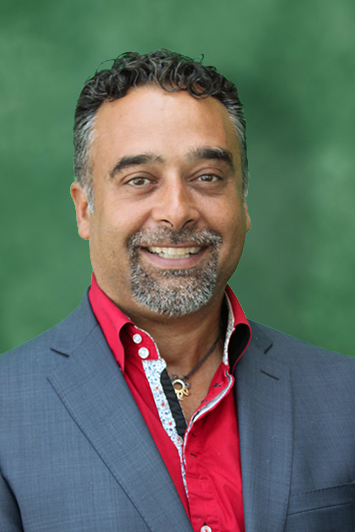 SHADD CONNECTS WITH MUCH GLEN SITE: One of the exciting programs offered at Shadd Health and Business Centre in NDG is Assistance in Health Care Facilities. 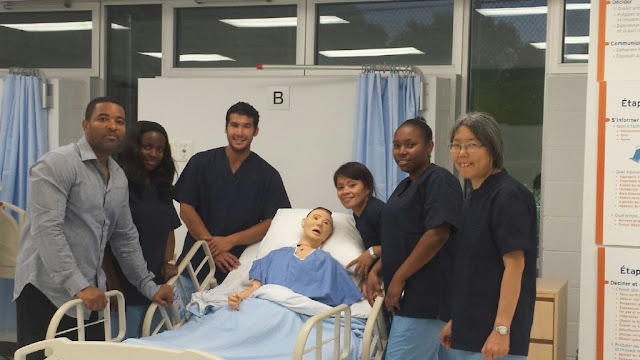 The 750 hour program prepares students to practice the occupation of “Patient Support Worker,” which assists patients to carry out a variety of activities in daily living. This program is in accordance with recent laws, ministerial policies and orientations that govern health and social services. It is also based on integrative concepts such as the living environment and holistic approaches in responding to the health needs of our growing population. In 2014, Shadd inaugurated two new modern authentic health laboratories with state of the art equipment. Students who learn in these labs become confident and develop certain psychomotor skills (skills that require varying levels of well-coordinated physical activity and precise procedures), in order to provide the basis for safe, competent care to patients and families in the clinical setting. 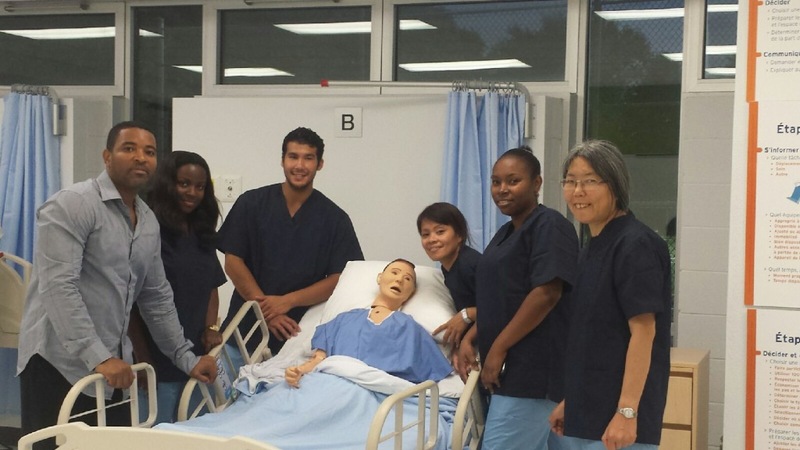 The health laboratory environment supports and enriches student learning prior to their clinical stages. Program graduates work in the public, private and community health networks, in particular in hospital care units as well as nursing homes, group homes, residential and long-term care centres (centre d’hébergement et de soins de longue durée-CHSLD) or similar types of environments. Shadd is located at 1000 Old Orchard Avenue, below Upper Lachine Road. Please read our detailed press release. JFK ADULT ON FACEBOOK: John F. Kennedy Adult Education Centre in St. Michel is the latest member of the EMSB family to join Facebook. Check them out at www.facebook.com/jfkadultcentre. RENTRÉE DES CLASSES: Les élèves des écoles primaires et secondaires de la CSEM retourneront en classe le lundi 31 août 2015. Les enfants de la maternelle doivent être âgés de cinq ans le ou avant le 30 septembre 2015, tandis que les élèves de 1re année (Cycle 1) doivent être âgés de six ans le ou avant le 30 septembre 2015. L’inscription pour ceux qui ne sont pas inscrits antérieurement commencera le lundi 10 août pour les écoles primaires et secondaires. Il est demandé aux parents d’appeler l’école de leur quartier pour prendre rendez-vous. Les parents sont priés de consulter le site Web de la Commission à www.emsb.qc.ca qui contient des informations au sujet des programmes d’éducation des adultes et de formation professionnelle. Les demandes d’information par courriel peuvent être adressées à informationdesk@emsb.qc.ca ou vous pourrez appeler au 514-483-7200. La CSEM dessert plus de 36,000 élèves dans 35 écoles primaires, 17 écoles secondaires, huit écoles secondaires innovatrices, sept institutions des affaires sociales et 10 centres d’éducation des adultes et de formation professionnelle. Tous les élèves qui s’inscrivent pour la première fois doivent présenter un acte de naissance et leur dossier de vaccination à l’école que l’élève fréquentera. Il est demandé aux parents de remplir les formulaires qui permettront à l’école de faire la demande de certificat d’admissibilité à l’enseignement en anglais. Conformément à la Charte de la langue française, un certificat d’admissibilité est généralement accordé aux enfants qui ont fait la majorité de leurs études primaires ou secondaires en anglais au Canada ou dont le frère ou la sœur a fait la majorité de ses études primaires ou secondaires en anglais au Canada. Veuillez prendre note que dans le cadre de la Loi du Québec, ce critère exclut les études complétées auprès du réseau d’écoles privées du Québec. NOUVELLE DIRECTRICE GÉNÉRALE: Ann Marie Matheson a été nommée directrice générale de la Commission scolaire English-Montréal, succédant à Robert Stocker qui a quitté ses fonctions en mai dernier et qui occupe maintenant les fonctions de conseiller cadre. Les liens de Mme Matheson avec la CSEM remontent au début de sa carrière de 23 ans dans le domaine de l’éducation. En tant que membre des Services aux élèves de l’ancienne Commission des écoles catholiques de Montréal (CECM), elle a été directement impliquée à des programmes visant à réduire l’absentéisme et à augmenter les taux de réussite des élèves au niveau de toutes les écoles secondaires, incluant St. Raphaël, St. Pius X et Paul VI. De 2011 à 2014, Mme Matheson a été commissaire de la CSEM pour Ahuntsic. En outre, Mme Matheson a été coordonnatrice du programme de Baccalauréat International à l’Académie Internationale Marymount à ses débuts et, plus récemment, a été en prêt de service auprès du ministère de l’Éducation et a assumé la responsabilité du programme de l’École Montréalaise dans les écoles anglophones – dont 19 relevaient de la CSEM. Plus récemment, Mme Matheson a travaillé pour la Commission scolaire Lester-B.-Pearson à titre de directrice de La Salle Community Comprehensive High School. Elle a aussi occupé ce poste à St. Lawrence Academy Junior, à l’Académie Beurling et à l’école privée Miss Edgar’s and Miss Cramp’s School for Girls. Mme Matheson est la mère de deux enfants qui ont fréquenté les écoles de la CSEM. Elle a aussi siégé au comité de parents de la Région 3 et au Comité central de parents en 2005. NOUVELLES DU CENTRE MACKAY: Le ministère de l’Éducation, de l’Enseignement supérieur et de la Recherche (MEESR) a accordé à la Commission scolaire English-Montréal (CSEM) la somme de 21,9 millions de dollars pour la construction d’un nouvel établissement qui logera les écoles du Centre Mackay et de Philip E. Layton. La présidente de la CSEM, Angela Mancini, et la vice-présidente, Sylvia Lo Bianco ont été ravies de cette nouvelle. En effet, les écoles du Centre Mackay et de Philip E. Layton ont été les locataires du Centre de réadaptation MAB-Mackay, qui relève du ministère de la Santé et des services sociaux. Pour plusieurs décennies, l’école Philip E. Layton a été logée à l’Association montréalaise pour les aveugles (MAB) sur la rue Sherbrooke ouest, à NDG, où des rénovations l’a obligée à déménager en septembre dernier au bâtiment du boulevard Décarie. L’école du Centre Mackay dessert des enfants atteints de handicaps physiques, des élèves sourds et ceux atteints de troubles de communication. L’école Philip E. Layton dessert des élèves aveugles et/ou ceux physiquement ou intellectuellement handicapés. Les deux écoles ont un mandat suprarégional et, par conséquent, la CSEM est la seule commission scolaire qui offre des services à ce groupe particulier d’élèves anglophones, non seulement de la région de Montréal, mais de toute la province de Québec. Plus d’informations seront données lors d’une conférence de presse qui aura lieu le lundi 31 août à l’école du Centre Mackay. EXAMEN DE CONDUITE DE GÉNÉRAL VANIER: L’école primaire Général Vanier de Saint-Léonard invite tous les conducteurs détenteurs d’un permis de conduire des quartiers environnants de l’aider à lever des fonds pour l’école, en faisant l’essai routier d’une Buick le 24 septembre, de midi à 21 h. Il n’y a aucune autre obligation, seulement 10 minutes de votre temps! L’objectif est 500 conducteurs qui permettront à l’école de recueillir 10 000 $ pour organiser des évènements pour 2015-2016, dont la Journée de bienvenue, le petit déjeuner communautaire, la remise de diplômes de la 6e année, les programmes de robotique et d’échecs et plus. Pour tous les détails, consulter www.emsb.qc.ca/gvanierelemé . Cet évènement est organisé par le comité PPO de Général Vanier avec l’appui du personnel et des parents et l’équipe a hâte de vous recevoir avec des friandises et beaucoup de plaisir! EFFICACITÉ ÉNERGÉTIQUE: Les travaux ont débuté à l’école secondaire Rosemont pour l’éclairage dans les corridors, les escaliers, les classes, qui sera converti de fluorescent à la dernière technologie DEL. Ceci permettra d’économiser de l’énergie, durera plus longtemps et simplifiera l’entretien tout en maintenant ou rehaussant les niveaux d’éclairage. Au printemps dernier, la CSEM a lancé une initiative majeure visant à renforcer l’efficacité énergétique des bâtiments d’école. Ce projet de 24,6 millions de dollars, en collaboration avec Énergère, se concentrera au début sur 17 écoles et centres spécifiques. En 2009, une autre compagnie avait équipé six écoles d’une technologie qui avait réduit de 47 % leurs factures d’électricité. Ceci équivalait à une réduction annuelle de 2 840 tonnes de gaz à effet de serre et a grandement réduit l’empreinte carbone de la CSEM, équivalant à éliminer 876 véhicules automobiles de la route. La compagnie a optimisé le réseau de chauffage et de ventilation, installé des réservoirs d’eau chaude plus efficaces et de l’équipement plus efficace de récupération d’éclairage et de chauffage, incluant des systèmes de chauffage géothermal et de pompes à chaleur. Cet investissement de 8 425 292,51 $ a un plan de remboursement de 11 ans. Dès que le projet sera terminé en décembre, les 17 bâtiments atteindront une réduction d’énergie de 53 pour cent. La phase de technologie DEL compte pour 9 millions de dollars du budget. Des économies générales de plus de 1,17 millions $ par année sont prévues dès que toutes les mesures seront en place. L’on s’attend que l’investissement initial soit couvert en 14 ans et quatre mois en tenant compte de 9.9 millions de dollars de subventions d’Hydro-Québec, Gaz Métro, du Bureau de l’efficacité et de l’innovation énergétiques (BEIÉ) et du ministère de l’Éducation, de l’Enseignement supérieur et de la Recherche (MEESR). Les 17 écoles et centres de formation sont : L’école secondaire et le Centre de technologie Rosemont, l’école primaire Pierre Elliott Trudeau à Rosemont; l’école primaire Gerald McShane à Montréal-Nord; l’école primaire Dante à Saint-Léonard; l’Académie Royal West à Montréal-Ouest; l’Académie Leonardo Da Vinci et les écoles primaires Michelangelo International et East Hill à Rivière-des-Prairies; l’école primaire Saint-Gabriel à Pointe-St-Charles; l’école secondaire John F. Kennedy et le Centre d’éducation des adultes à Saint-Michel; l’école secondaire de Montréal et le Centre d’éducation des adultes sur le Plateau; l’Académie Internationale Marymount à Notre-Dame-de-Grâce; l’école secondaire Laurier Macdonald et le Centre de formation professionnelle et l’école secondaire John Paul I Junior à Saint-Léonard; le Centre des carrières St. Pius X à Ahuntsic; le Centre d’études commerciales Shadd à Notre-Dame-de-Grâce; l’école primaire Roslyn à Westmount. JOURNÉE MONDIALE DE LA PRÉMATURITÉ: L’Hôpital général juif est l’un des plus importants centres de naissances de la Province de Québec avec près de 4 500 accouchements chaque année. Son unité de soins intensifs néonatals (USIN) de renommée mondiale s’occupe de près de 700 bébés prématurés et de nouveau-nés malades. Le JGH Auxiliary’s Tiny Miracle Fund est engagé à acquérir un équipement vital et qui peut sauver des vies pour l’unité de soins intensifs néonatals. Grâce à nos nombreux partisans engagés, nous avons relevé la sensibilisation et recueilli plus de 300 000 $ de notre objectif de 500 000 $. Le Tiny Miracle Fund offre une excellente occasion d’apprentissage aux élèves. Il démontre l’importance de la charité et permet aux élèves de participer à un important évènement global. Les écoles participantes seront admissibles à une visite d’une infirmière de l’USIN au cours de l’année, au cours de laquelle une courte vidéo sera présentée. L’an dernier, huit écoles ont participé et les organisateurs espèrent voir une participation accrue. Veuillez considérer le Tiny Miracle Fund pour vos projets de classe ou d’école de l’année scolaire 2015-2016. Le 17 novembre souligne la Journée mondiale de la prématurité à travers le monde. Cette journée spéciale peut être célébrée dans votre école en demandant aux élèves de porter des vêtements pourpres ou un accessoire pourpre et faire un don de 2 $. Pour plus d’informations, veuillez appeler les Auxiliaires de l’Hôpital juif, au 514-340-8216 ou adresser un courriel à thetinymiraclefund@gmail.com. KIDCON: Le début de l’année scolaire peut être difficile pour les familles qui se réajustent à un nouvel horaire, aux devoirs, aux enfants qui voudraient jouer plutôt qu’étudier. La température change et les parents sont toujours à la recherche de façon de divertir leurs enfants. Les familles de Montréal ont une grande nouvelle activité avec KidCon, un évènement de deux jours pour les enfants âgés de trois à 12 ans et toute la famille durant la fin de semaine du 26-27 septembre 2015 au stade Uniprix (285 rue Gary Carter) – plus de 75,000 pieds carrés à l’intérieur ! Les exposants mettront en vedette toutes sortes de produits pour enfants, dont des marques favorites comme Marvel, Disney, Shopkins, Monster High, Star Wars et beaucoup plus. C’est la parfaite occasion de faire le magasinage des Fêtes tôt et de découvrir les nouveautés du marché. Tout est sous le même toit avec accès facile et une grande combinaison d’activités pour les enfants et toute la famille. KidCon mettra en vedette une projection spéciale du film Frozen Sing-Along Edition ! Et nous avons quelques autres surprises aussi, soit des représentations en direct de personnages d’émissions, tels Toc Toc Toc, les Argonautes et GÉNIAL! quelques-unes des émissions pour enfants les plus populaires de la TV francophone. Les billets peuvent être achetés sur le site Web de KidCon à kidconmtl.com ou à admission.com ou au 514-790-1245. The next Focus will be published on September 22. Submissions should be made to Michael J. Cohen preferably by e-mail (mcohen@emsb.qc.ca) by September 18 at Noon.